Over the past year, the World Health Organization (WHO) has rolled out the latest version of its benchmarking tool for evaluating progress of national regulatory authorities towards meeting WHO quality assurance targets. This benchmarking tool applies a more transparent and systematic approach than previous versions, and was developed through “extensive” consultation with member states and the public. National regulatory authorities are responsible for “providing regulatory oversight of all medical products such as medicines, vaccines, blood products, traditional or herbal medicines and medical devices,” a WHO regulatory system overview states. 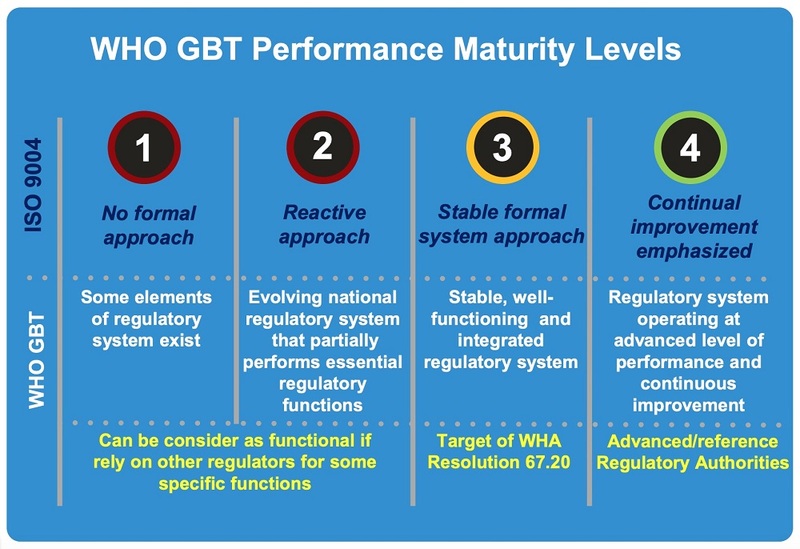 The Global Benchmarking Tool (GBT) “represents the primary means by which the WHO objectively evaluates regulatory systems, as mandated by WHA Resolution 67.20 [pdf] on Regulatory System Strengthening for medical products,” the WHO website explains. “It’s more transparent; it’s very structural. Just by having the parameters by which you will be assessed already helps the structures to get organized. The Global Benchmarking Tool is very much that,” Mariângela Batista Galvão Simão, assistant director-general for Drug Access, Vaccines and Pharmaceuticals at the WHO, said in an interview with Health Policy Watch. The beta version of the Global Benchmarking Tool is available here, and the tool is expected to be finalised in 2019. It “replaces all tools previously used by WHO, representing the first truly ‘global’ tool for benchmarking regulatory systems,” the website states. The latest revision of the Global Benchmarking Tool, GBT Revision VI, is the result of “extensive” consultation with member states and the public, Simão explained. “When I mean extensive, I mean we had like 100 virtual meetings, and we went through consultation with 1,100 comments,” she said. The latest version of the tool “takes into consideration input received from two international consultations with Member States in 2015, a public consultation in early 2018 and a series of meetings involving experts from regulatory authorities from different parts of the world,” the WHO website explains. “It’s been receiving a lot of support, and it’s not going to be very controversial. It’s a structure that works,” Simão said. The next step towards finalising this tool is to facilitate a public consultation on the process and criteria through which national regulatory authorities will be determined to qualify as a “WHO-listed authority,” Simão explained. “We will put out a draft concept note in two weeks or three weeks for how this would work,” she said. This term, “WHO-listed authority,” will replace “stringent regulatory authority,” previously used to denote regulatory authorities with WHO-approved levels of quality assurance, and that are members, observers or associates of the International Conference on Harmonization of Technical Requirements for Registration of Pharmaceuticals for Human Use (ICH). The latest version of the Global Benchmarking Tool “incorporates the concept of ‘maturity level’ or ML (adapted from ISO 9004), allowing WHO and regulatory authorities to assess the overall ‘maturity’ of the regulatory system on a scale of 1 (existence of some elements of regulatory system) to 4 (operating at advanced level of performance and continuous improvement),” the WHO website explains. National regulatory authorities will be designated as “WHO-listed authorities” if they “have been objectively documented to perform at ML 3 or ML 4 [levels],” it says. 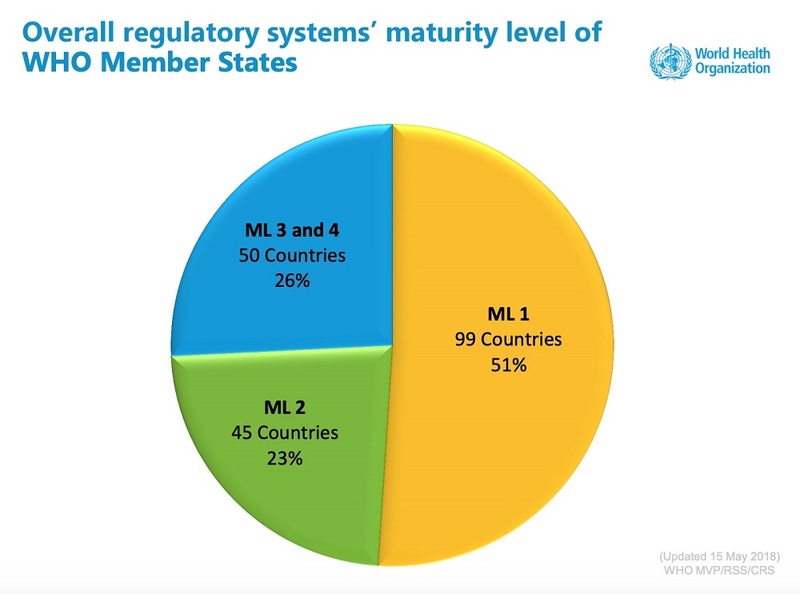 “[A] key objective of the benchmarking process is to help regulatory authorities, particularly those in low- and middle-income countries, reach a level of maturity commensurate with a stable well-functioning and integrated system of oversight for medical products (Maturity Level 3),” the WHO regulatory system overview states. Using the new benchmarking system, the Tanzania Food and Drug Authority (FDA) was the first regulatory authority to achieve level 3 in Africa, a December WHO press release highlighted. “The benchmarking of Tanzanian regulatory authorities was carried out in phases by a WHO-led team of international experts,” that “facilitated self-assessments and conducted a formal evaluation of the Tanzania Food and Drug Authority,” it said. “This is a major African milestone and we are very proud of Tanzania’s achievement, which we hope will inspire other countries in the region,” Matshidiso Moeti, WHO regional director for Africa, said in the release.